The Servant Leadership Workshop will create an understanding of servant leadership and apply it to the role and responsibilities of church leaders. 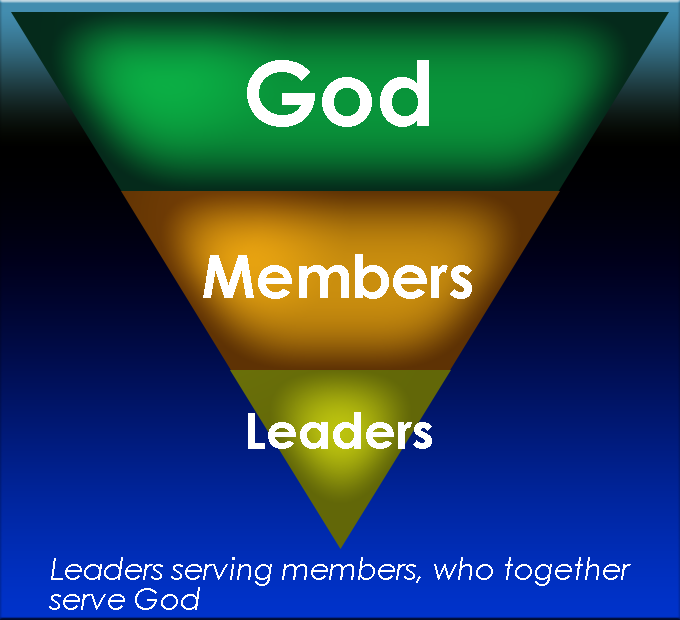 The focus is on the manner by which a church leader assumes his or her responsibilities. The workshop does not provide a job description for a particular position or role to outline specific functions. Instead it approaches the leader's heart as a servant. A clear understanding of the principles of servant leadership. A clear vision in their leadership position. A clear description of the obstacles servant leaders will face. A clear direction for each individual leader and the leadership team in applying these principles. Servant leadership begins with a radical decision to reflect the attitude and follow the example of Jesus Christ. Servant Leaders are team players committed to a unified team. Servant Leaders see leadership as relationship driven. MODULE #4- WHO HAS CLOUT? Servant Leaders use their power and authority to serve, not control. Servant Leadership is energized by humility. This is a workshop, not a seminar. The sessions include individual and group projects, and discussion as well as teaching. Each session takes about 1.5 hours depending on the time spent in individual and group projects. Workshops usually take a total of 9-10 hours.